April 2, 2019 - 7 p.m. Visual Studio 2019 is here! 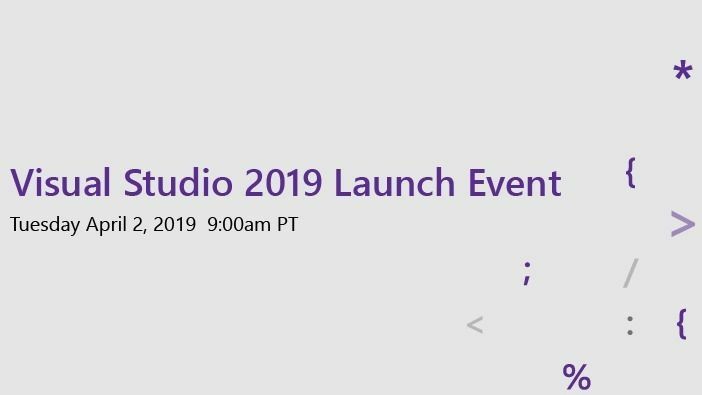 On April 2nd Microsoft will broadcast a full day of awesome Visual Studio 2019 technical content to celebrate the launch and get you up to speed with all the new features. Let's watch it together! Feb. 28, 2019 - 7 p.m.
Feb. 26, 2019 - 7 p.m.
Do you want to learn all about becoming a Product Manager? Come to Product School first event in Thessaloniki! 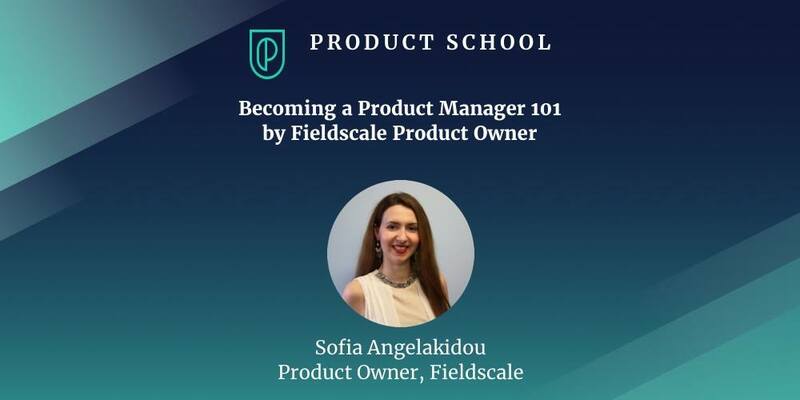 In this talk, Sofia Angelakidou, a Product Owner in Fieldscale, will give her insight on what is it like to be a Product Owner in a fast growing start-up and what her day to day tasks are. The event will also have a Q&A session and networking at the end, so for all the experienced professionals, please join to share your knowledge with the young and prospective PMs. Get on board and join our Community! Feb. 25, 2019 - 6:30 p.m.
Στην επόμενη συνάντηση μας, θα έχουμε την ευκαιρία να γνωρίσουμε από κοντά 2 εταιρίες της Θεσσαλονίκης οι οποίες έχουν σαν βασική στοιχείο τους την ανάλυση δεδομένων. Ελάτε να μάθουμε για 2 διαφορετικά μοντέλα εταιριών ανάλυσης δεδομένων. Να γνωρίσουμε τι είδους δεδομένα χρησιμοποιούν, τις διαδικασίες μετασχηματισμού των δεδομένων, τις δυσκολίες που αντιμετωπίζουν αλλά και τι κάνει το τελικό προϊόν τους τόσο ανταγωνιστικό. Οι εταιρίες που θα φιλοξενήσουμε στο επόμενο meetup είναι η Net2Grid (https://www.net2grid.com/) και η Loceye (https://www.loceye.io/). Feb. 1, 2019 - 7 p.m.
Introduction to EOS: The audience is going to be introduced to the basic concepts and characteristics of the EOS platform. It will go through how scalable EOS is (explaining the consensus algorithm), as well as it's governance and token model. The intro is going to be done by the ComeTogether team (https://cometogether.network/). 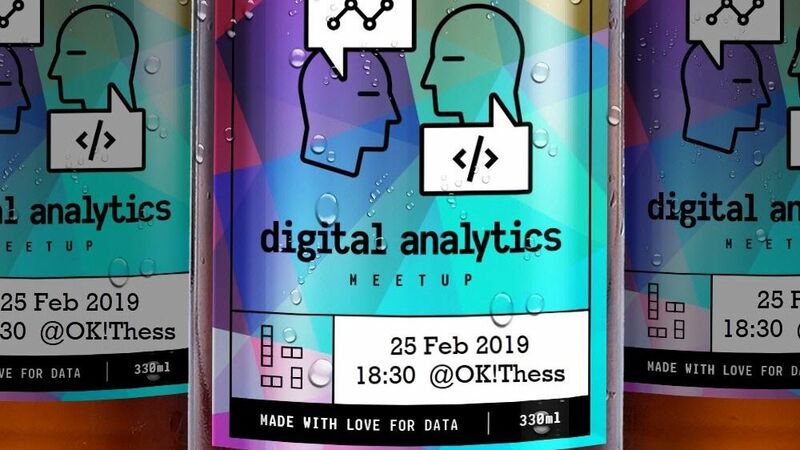 Jan. 28, 2019 - 6:30 p.m.
Ήρθε το πρώτο Digital Analytics Meetup για το 2019! Για άλλη μια φορά θα έχουμε μια συνάντηση φτιαγμένη για όσους δουλεύουν ή ενδιαφέρονται να απασχοληθούν ως data scientists. Βασικό θέμα συζήτησης θα είναι το Kaggle & Google analytics (https://analytics.google.com/analytics/web/). Επίσης θα δούμε τον διαγωνισμό που τρέχει αυτή τη στιγμή στο Kaggle(https://www.kaggle.com/c/ga-customer-revenue-prediction) και έχει ως στόχο να προσπαθήσουν οι συμμετέχοντες να προβλέψουν το χρηματικό ποσό που θα ξοδέψει ο κάθε επισκέπτης ενός website. Jan. 25, 2019 - 7 p.m.
Jan. 18, 2019 - 7 p.m.
We are waiting for you to join us in a workshop concerning the BDD Behave, a test framework of Python. We are going to analyze the basic principles of the BDD concept in a theoretical but also in a practical level, by using it on an eCommerce platform. Finally, we will discuss your concerns about the framework and the BDD way of testing. For any additional information do not hesitate to contact us! Dec. 18, 2018 - 5:30 p.m.
Το Athens Center for Entrepreneurship Innovation (ACEin) και ο εκπαιδευτικός οργανισμός Reload Greece με έδρα το Λονδίνο σε συνεργασία με το Alba Graduate Business School, The American College of Greece και το Αριστοτέλειο Πανεπιστήμιο Θεσσαλονίκης θα πραγματοποιήσουν εκδήλωση (workshop) στη Θεσσαλονίκη, στον χώρο του OK!Thess, στην οδό Κομοτηνής 2, στο πλαίσιο του Πανεπιστημιακού Διαγωνισμού Επιχειρηματικότητας και Καινοτομίας Ennovation και του προγράμματος επιτάχυνσης Young Entrepreneurs Programme (RG YEP). Dec. 13, 2018 - 7 p.m. The highlight of .NET Core 3 is support for Windows desktop applications, specifically Windows Forms, Windows Presentation Framework (WPF), and UWP XAML. 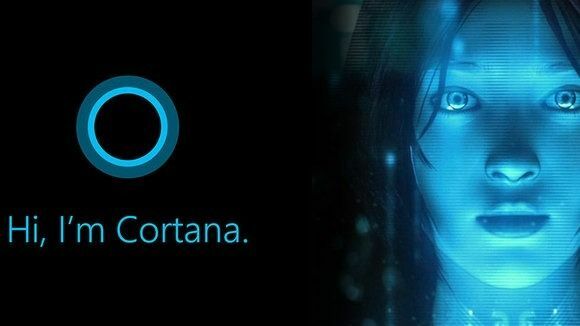 You will be able to run new and existing Windows desktop applications on .NET Core and enjoy all the benefits that .NET Core has to offer. Learn everything about it from Scott Hanselman (via Skype). Our open space is being used by several of the city’s creative teams as a meeting space and those meetings are open to anyone interested. Meetups’ participants comprise the wider OK!Thess community, a community that exchanges knowledge and experiences targeting to create added value for all of its members. Test Automation Workshop - "Service testing - Introduction to SoapUI and Groovy"
Test Automation Workshop! Selenium & Java United to Test GUI Apps Automatically! Dress Up. Drink Up. Fail Up!